Congratulations on unwrapping your brand-new iPhone! Undoubtedly, you’ve already fired up the device and are eagerly exploring what the phone has to offer. Now that you’ve learned your way around a bit, it’s time to load your iPhone up with apps, both fun and functional. Although the iPhone comes preloaded with a handful of Apple’s own apps, you have thousands upon thousands of third-party apps to choose from in the App Store. Sorting through the lists can be an overwhelming task, so here are a few suggestions to help get you started. With these excellent apps, you can make the most of your iPhone and really show off its capabilities. Recently, Apple released a stand-alone app for managing podcasts, separating the podcast-listening experience from the iPhone's Music app. While the Podcasts app is good, Downcast ($2 in the App Store) is even better. Downcast lets you easily search for and subscribe to podcasts directly from your device. The app also allows you to create playlists, so you can arrange to listen to, say, Radiolab right after This American Life without too much toggling. And—as is standard these days—the audio can play in the background while you use other applications. You can also share your listening habits with Facebook and Twitter friends. Downcast stands out due to its simple navigation and iCloud integration—if you have an iPad or another iOS device, you can use iCloud to sync episodes, podcast subscriptions, and playlists between devices. Since Apple’s native map app still has some flaws to work around, consider adding another map tool to your app collection. Google Maps for iPhone (free in the App Store) is a very good mapping application that returns some much-missed features to the platform. 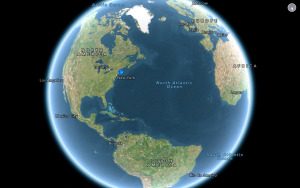 Before the launch of iOS 6, Google Maps used to be the iPhone’s default map app; now users must install it separately. Launch Google Maps and tap the arrow in the bottom-left corner to find your location, and then navigate through the map using the familiar swipe, pinch-to-zoom, and two-finger rotate gestures you use in countless other apps. Type in an address or landmark in the Search bar at the top of the screen to find and get directions to that location. 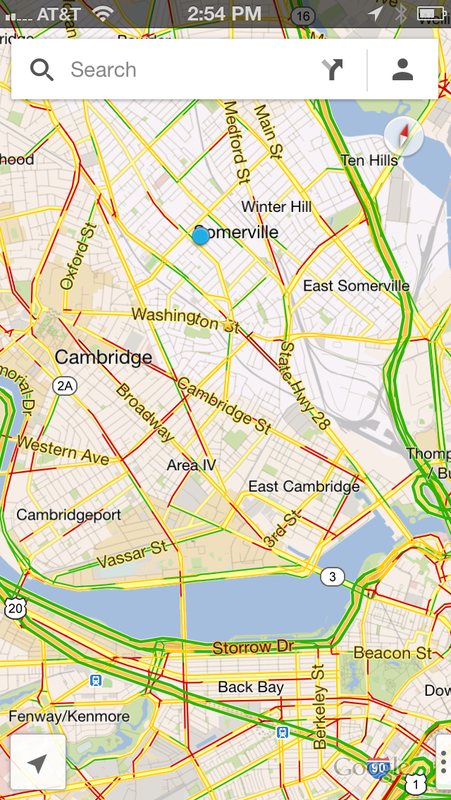 You can show traffic, or you can view the map in a traditional view, in a satellite view, or through Google Earth (if you have that app installed). Another beloved feature is the option to get directions for driving, walking, or public transit, which is a real lifesaver when you’re exploring unfamiliar territory. When it comes to taking quality iPhone photos, there’s no bigger name than Camera+ ($1 in the App Store)—and for good reason. Camera+ helps you make the most of your iPhone’s built-in camera, giving you even more reasons to ditch your stand-alone point-and-shoot. The app features four shooting modes as well as separate exposure and focus locks; it also lets you use the iPhone’s flash as a continuous light source to brighten a scene. But what makes Camera+ so addictive are its simple and effective editing options: You can immediately enhance your images by choosing photo scenes (such as Food or Portrait), cropping, adding borders, and trying out fun retro effects. For finding nearby points of interest, Yelp (free in the App Store) is a must-have. Use the website’s app to read reviews of restaurants, bars, museums and attractions, shops, salons, coffee shops, dentist’s offices—you name it. If you have a Yelp account, you can check in to a location and post reviews or photos straight from the app. Yelp lets you bookmark hotspots to investigate later, and you can also connect with other Yelp users and follow their check-ins. Zite (free in the App Store) surveys your Facebook and Twitter feeds to pull together stories on topics that the app thinks will interest you, and it stands out from the rest of the news-aggregator crowd thanks to an elegant design. The app also learns your preferences through remembering the stories you consume and which stories you rate with a thumbs-up or thumbs-down. The latest version of Zite shows off a refreshed interface that makes the app much more fluid to navigate, and its Explore feature introduces you to new content. Plenty of apps promise a similar experience, but Zite delicately balances personalized content with top-notch design. 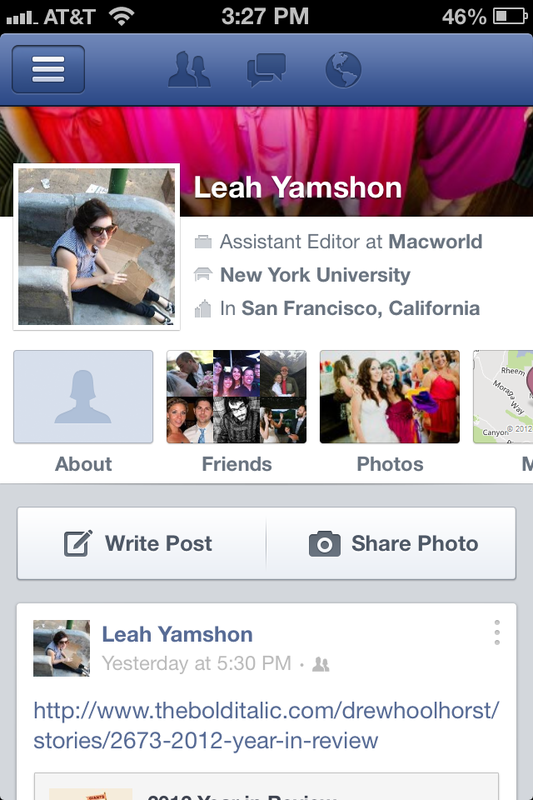 If you’re one of the 1 billion people who use Facebook, you should download Facebook for iOS (free in the App Store). 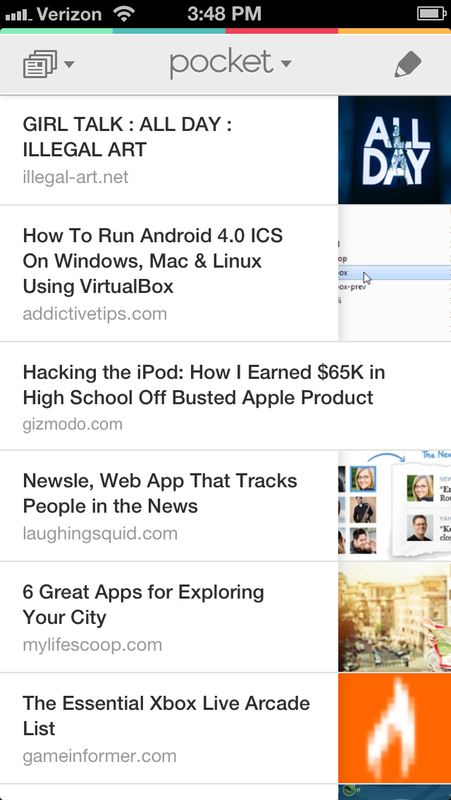 The app presents your News Feed posts in an easily scrollable, well, feed. Tap a post to view Likes and Comments (which are hidden by default), or add a Like or Comment of your own. Three buttons on the top let you quickly update your status, post a photo, or check in to a location. You can see which friends of yours are active by tapping the icon in the top-right corner (or by swiping to the left), and you can access your own profile, Favorites, Pages, Groups, and other settings by tapping the icon in the top-left corner (or by swiping to the right). If you always want to stay in the Facebook loop, enable Push Notifications to have your iPhone ping you when your friends share content with you. Tweetbot ($3 in the App Store) is an excellent Twitter client for the iPhone.The app’s unique interface and brilliantly implemented gesture support make it not just a powerful tool for reading and posting tweets, but a fun one, too. 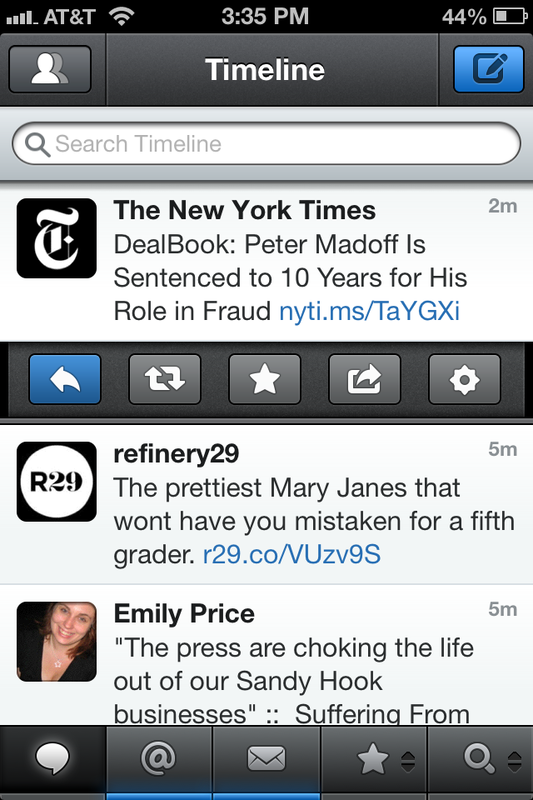 Swipe to the right on a tweet to see the full conversation surrounding it; swipe to the left to see replies sent to it. Tap and hold—on a tweet, a hashtag, a username, or a link—to expose contextual options related to that element. With support for services such as Tweet Marker (for keeping you in sync with your device or desktop Twitter client), Instapaper, and more, it’s a full-featured Twitter app that’s a delight to use. The App Store offers oodles of asynchronous one-on-one word games, but Letterpress (free in the App Store), with its innovative gameplay, stands out. There’s an element of Words With Friends, in the sense that you want to find the best words you can make with the available tiles, but Letterpress adds Risk-like strategy to the mix. To win, you must carefully take control of the board: Tiles turn blue when you use them, but your opponent can turn them pink by using them on his or her turn; only tactical tile usage can lock certain tiles to your color. When all tiles are claimed, the player with the most tiles wins. Letterpress is the rare word game where a mastery of vocabulary doesn’t guarantee success, because you must master the strategy, too. 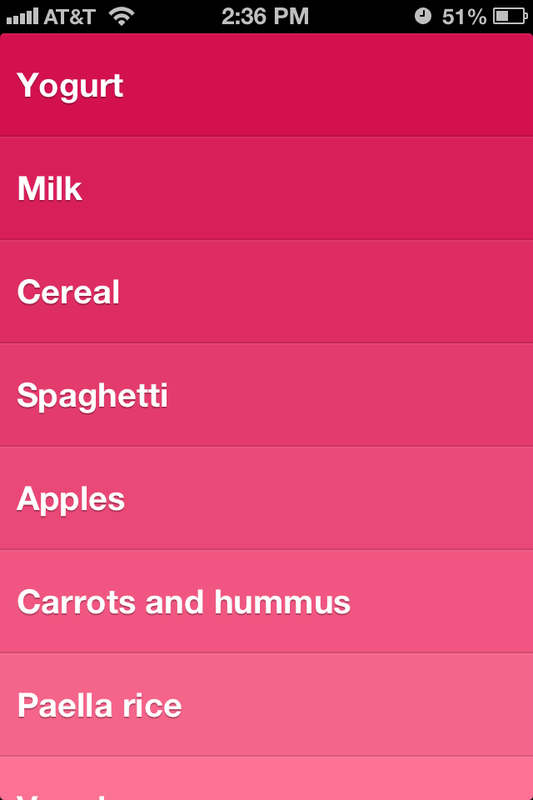 Clear ($2 in the App Store) is the rare task manager that focuses on one simple thing: lists. That may not sound exciting, but Clear’s eye-popping design and effective use of iOS’s gestures make the app a delight to use. In fact, if this is your first iPhone, you can use Clear to learn all about iOS’s native gestures. There’s no location-aware reminders; there aren’t even due dates or notifications. (You can, however, sync Clear to its recently released desktop companion app or between devices via iCloud.) But it does its one trick—adding as many different lists as you’d like—really well. When you’re in a list, you can add a new item by dragging down the top one, tapping underneath the last one, or doing a reverse-pinch between two others. You swipe right to delete an item, and left to mark it as done. What really makes Clear stand out is its use of color: Items are in deeper shades at the top and get lighter as the list continues, to indicate priority. This simple scheme gets the job done, with style. Sometimes, you would rather read a lengthy article on your computer screen than on your iPhone. Just as often, though, you might find that you’d like to load up your iPhone with some longer content from the Web so that you can read it, say, during the bus ride home. Several iPhone apps aim to help you achieve those two dovetailing goals; one such app is Pocket (free in the App Store), a great tool for saving websites to read later. If you save a mix of content from the Web, the app allows you to tap between your saved videos, images, and articles, so that you can focus on whichever kind of content you wish to consume. Several other services, such as Facebook, Reeder, Tweetbot, Twitter, and Zite, let you share stories with Pocket from within their apps. You’ll need an account at getpocket.com to make everything work, but the account is free and painless to set up. The website also offers a couple of bookmarklets that you can add to your favorite browser, so that on any webpage you can click 'Pocket' to add that page to your list.